"Folsen" I need a programmer!!! TIGSource Forums Jobs Collaborations "Folsen" I need a programmer!!! 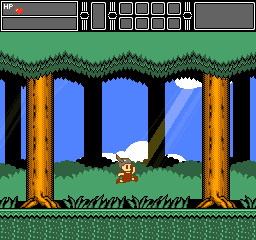 Two years or almost three started an 8-bit project based on Brazilian folklore, it would be inspired by several nintendo classics, such as Mega Man and Mario. The only problem was the lack of a programmer, I do not have much programming skills, I got some programmers, but they were not reliable. I've always worked on small ideas, folsen was one of them and it could be my first author project, I've worked with some interested programmers, but none of them were capable or a partner for the project, so much so that I have two prototypes in different playable engines. - It will have 8 bosses, same initial amount of mega man. - You will have a "yoshi"
If you are interested in going to the end with the project, you will be very welcome, let's make this game, come on!